2017. Watercolor, ink, color pencil. 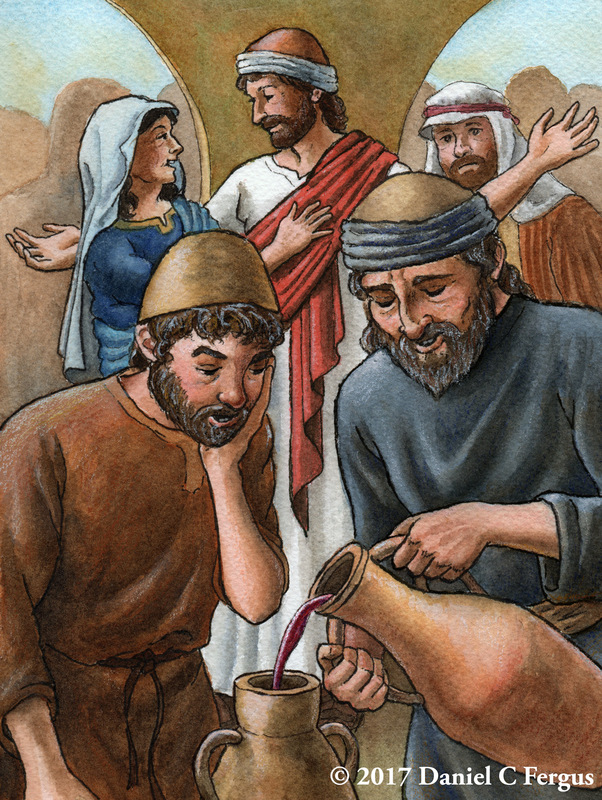 5¾" x 7¾"
The familiar story found in John 2:1–10, Jesus turns water into wine. I've always been intriguied by Mary’s role in this miracle—she essentially presures her son into helping. I love the fact that when Jesus seems hesitant she ignores him and goes right to the servants and tells them that he (Jesus) will fix the situation. Such a sterotypical Jewish mother thing to do!